The Movement for Democratic Change (MDC) formation led by Nelson Chamisa is planning to install him as the legitimately-elected president of Zimbabwe following the disputed July 30 presidential poll won by Zanu PF’s Emmerson Mnangagwa. MDC-T presidential spokesperson Dr. Nkululeko Sibanda says the swearing-in scheduled for this Saturday, will be conducted by Zimbabweans and not the country’s chief justice or his deputy, who are supposed to administer the oath of office for a president as stipulated in the Constitution of Zimbabwe. Dr. Sibanda dismissed suggestions that such moves were illegal, saying the people of Zimbabwe have the right to install a president of their choice. 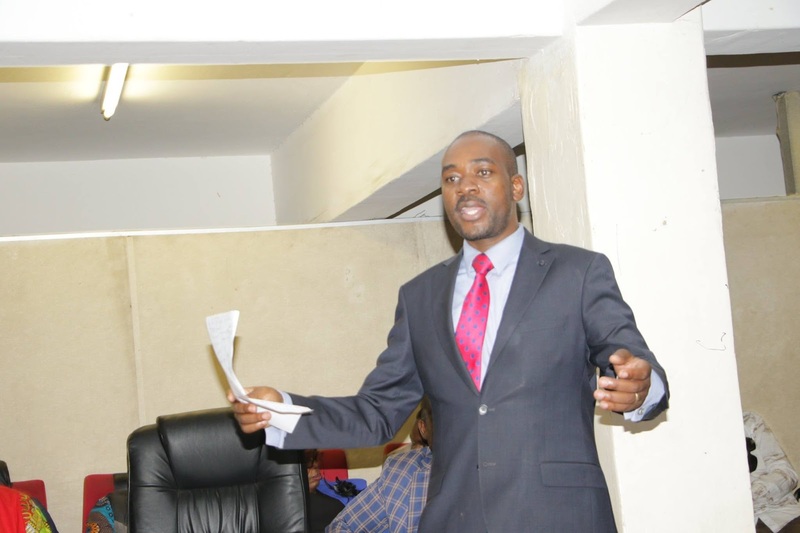 Zanu PF activists warned Chamisa to desist from conducting the symbolic swearing-in ceremony with some calling it treasonous. Section 94 Subsection 1 of the Zimbabwe Constitution stipulates that persons elected as president and vice-presidents assume office when they take, before the Chief Justice or the next most senior judge available, the oaths of president or vice president. Mnangagwa was sworn-in after the Constitutional Court ruled that he won the presidential poll whose results were challenged by Chamisa. Kenyan opposition leader Raila Odinga in January this year conducted the same ceremony in an effort to force President Uhuru Kenyatta to the negotiating table following a disputed presidential election. But in Chamisa’s case, Dr. Sibanda VOA Zimbabwe Service this is designed to “officially declare” the MDC-T leader the country’s legitimately-elected president. Reacting to the MDC-T’s move, Zanu PF Central Committee member, Believe Gaule, says the MDC-T will commit treason if it goes ahead with the “swearing-in” ceremony.